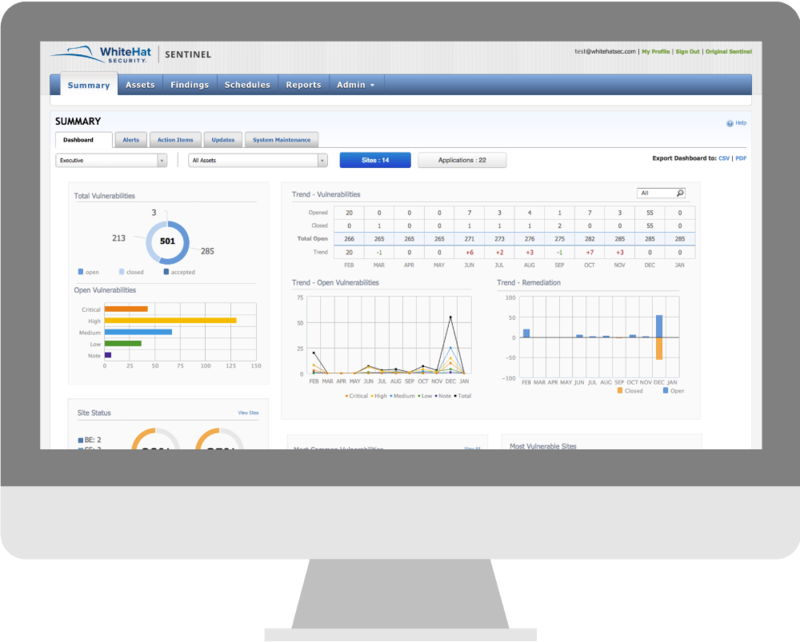 WhiteHat Security is the leading provider of website risk management solutions. Sentinel, WhiteHat's flagship product, is the most accurate, complete and cost-effective website vulnerability management solution available. It delivers the flexibility, simplicity and manageability that organizations need to take control of website security and prevent Web attacks. 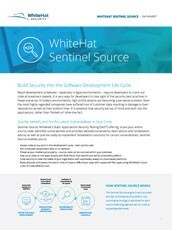 WhiteHat Sentinel is built on a Software-as-a-Service (SaaS) platform designed from the ground up to scale massively, support the largest enterprises and offer the most compelling business efficiencies, lowering your overall cost of ownership. 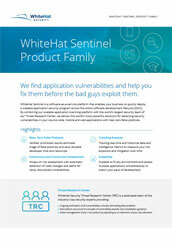 Unlike traditional website scanning software or consultants, WhiteHat Sentinel is the only solution to combine highly advanced proprietary scanning technology with custom testing by the Threat Research Center (TRC), a team of website security experts who act as a critical and integral component of the WhiteHat Sentinel website vulnerability management service. Continuous, concurrent assessments. Sentinel Dynamic continuously scans your websites as they evolve, providing automatic detection and assessment of code changes and alerting for newly discovered vulnerabilities. 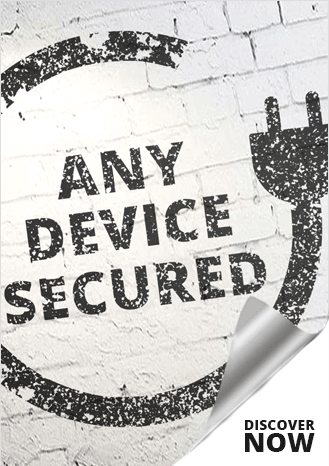 Unlimited access to security experts. With unlimited access, our Threat Research Center team acts as an extension of your security team, answering questions about vulnerabilities and providing remediation guidance. Verified, actionable results. WhiteHat’s Threat Research Center validates every vulnerability, virtually eliminating false positives, so you can focus on remediation and improving your overall security posture. Reporting and intelligence metrics. Trending analysis tracks data in real time, and the WhiteHat Security Index provides at-a-glance visibility into the security of all of your websites. Well suited for agile development. Includes integrations to key developer tools and support for CI/CD processes; enables remediation of critical vulnerabilities earlier in the SDLC to reduce application risk and exposure. Saves time and accelerates app development/deployment. Delivers actionable results containing pre-verified vulnerabilities that are rated and ranked based on threat severity, along with custom remediation advice. 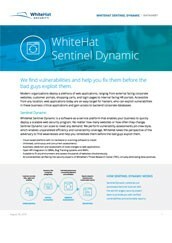 Want to find out more about WhiteHat Sentinel? Just let us know how we can contact you and one of our Trusted Advisors will be in touch. Contact Infosec Partners today to schedule a trial and discover how WhiteHat Sentinel provides delivers near zero false positives and unmatched dynamic application security testing. We'll verify all vulnerabilities and help DevOps fix those most urgent. Use the form to schedule your trial.